Sidewalk Labs the smart city division of Googles parent company Alphabet, recently announced a new real estate development which they are calling Sidewalk Toronto. It is a joint venture with Waterfront Toronto and it aims to make Toronto a global hub for urban innovation. 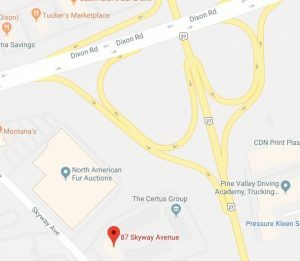 The initial phase of the development is called Quayside which is on a 12 acre parcel located at the foot of Parliament Street just east of Toronto’s downtown. 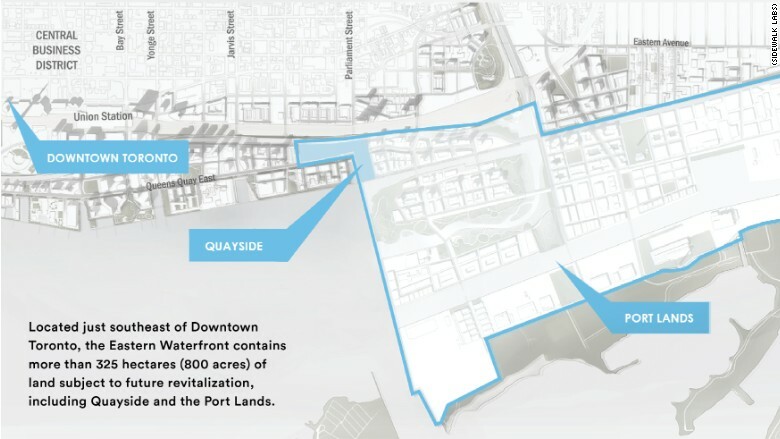 It is part of a large tract of over 800 acres of lands on the waterfront called the Port Lands which is one of the largest underdeveloped urban areas in North America. It currently is home to a few outdated industrial buildings and some parking lots. If all goes well this extra land will enable long term expansion of the project. Sidewalk plans to invest in innovation by incubating small companies which develop technological tools to support Sidewalk Toronto and other similar developments in other cities around the world. So far it has committed $50 million to the project and Google plans to move its Canadian head office into the project. There are other highly planned developments which have taken place around the world. Most have failed to live up to their hype. These efforts often flop because they tend to feel over-engineered, perhaps too perfect, and not quite human enough. It will be interesting to see how this development proceeds ahead. It certainly has one thing going for it, …not many of us want to bet against Google.